GFCI outlets/receptacles are meant to protect you, but problems with a tripping GFCI can sometimes be a mystery. This article examines one of the reasons why problems with a tripping GFCI breaker occurs. Q: We are in our summer home, a 1 year old 38′ 5th wheel with all the bells and whistles, parked in one spot year around. During a rainstorm, the GFCI keeps going off and/or will not come back on. As tight as this rig is, I cannot imagine why this happens so often and so readily. Any idea what I can look for as to why this is happening? I am on 50 amp and my line is plugged into a surge guard which in turn is plugged into the RV park system. A: Given that the GFCI will reset once dried out, it is most likely that you have water leaking into one of the outlets. Check your RV manual to determine which outlets are protected by the GFCI. 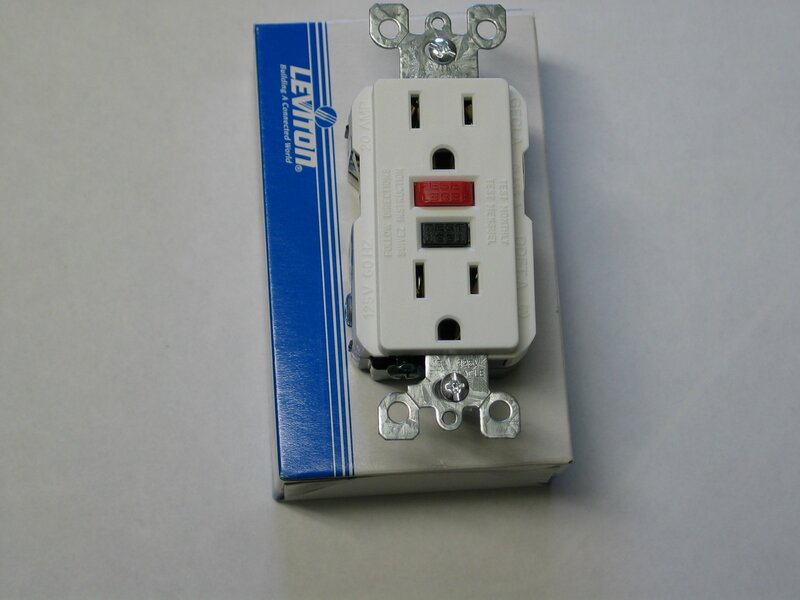 Some R.V.’s have one GFCI receptacle that also protects up to 5 receptacles fed downstream of the actual GFCI outlet connected to the ‘load’ terminals. In my new truck camper, the GFCI in the kitchen feeds the bathroom, and the outside receptacle. It takes very little moisture to cause enough current leakage for a GFCI to trip. Also, check out what you have plugged into these protected outlets. For example, if you have something plugged into the outside outlet, it could be that (appliance, landscape lighting, etc.) getting wet in the rain causing the GFCI to do, essentially, what it is designed to do. Thanks for your reply. You gave me a good clue as I do have some outside lights where the connections to an extension cord could be getting damp, even though that connection is somewhat ‘protected’ by the rig. We have been getting some wind with the rain and water is blowing everywhere. This entry was posted in Troubleshooting and tagged amps, breaker, current, GFCI, ground fault circuit interrupter, outlets, receptacle, surge protector, tripped breaker. Bookmark the permalink.